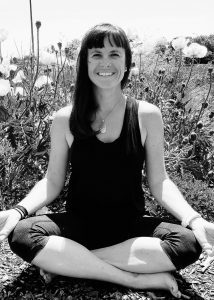 I began my love for yoga in a quaint little studio in Denver when I first moved out to Colorado from Virginia in 2007. I’ve always been active, playing sports, running, hiking and backpacking though always felt like something was missing. Yoga was a way to bring all aspects of fitness together and complement my other activities; mentally and physically. I dreamed of teaching and was inspired to use my creative design background to build my own dynamic flows. Many years later I finally followed my heart and decided to take the leap. After 200 hour RYT, studying under Seane Corn and many more hours of preparation and practice, I realize I’m on my correct path. I find myself always excited to learn more and become better in my own practice and teaching. It’s never dull and things are always changing! Mainly through integrating dynamic vinyasa flow asana (poses) into my classes, I love showing others what yoga has shown me. With the application of proper alignment, breathing techniques, visualization and intention; yoga can lead towards an inner journey of healing and empowerment.